It is not entirely necessary to have had a misspent youth to be a good snooker or pool player. But for anyone new to playing pool, then it’s worth trying to pick up some training tips from old hands. Alternatively, for those who want to impress on their first public appearance down the local pub or pool hall, then it is worth getting in some practice at home first. The only way to do this is to obtain your own equipment. Before investing any money, it is important to check that the prospective table will fit into the room available, bearing in mind that extra clearance space is essential so that cueing can be carried out correctly. Fortunately, many pool tables these days fold up for easy storage. 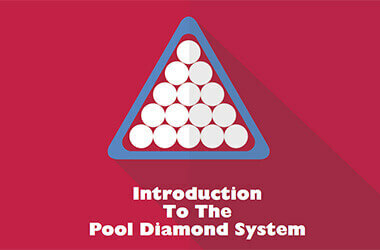 Many pool players prefer to have their own cues which they take along to pool games. While this is not essential, it can help to improve a player’s game significantly. Because everyone has differing arm lengths and hand sizes, this can make a real difference in terms of playing. For example, anyone with smaller hands might find their game is vastly improved by using a cue with a shaft which is between eleven and twelve millimetres whereas people with larger hands may want to opt for a larger model of up to fourteen millimetres in diameter. In addition, different sized cues require varying degrees of accuracy to determine the correct amount of spin. By practising with the same cue each time, players will develop greater consistency and accuracy. Players need to learn the best hand position for them to ensure accurate cue aim and a steady shot. Essentially, the idea is to turn the front hand (the one that rests on the pool table) into a bridge. This does two things: first, it provides a base for the cue to rest on and take aim from; second, it provides support for the player’s body as they lean across the table. There are various bridge formations, but beginners may wish to start with the v bridge (this is also called the open bridge). In this position, the fingers are spread out on the pool table, the knuckles are raised and the fingertips and heel of the hand press firmly onto the baize. The thumb is kept close to the hand and elevated at roughly one hundred-and-twenty degrees to the table. 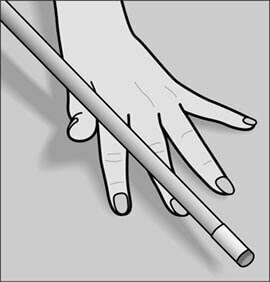 The cue should be inserted into the resulting v which is created between the thumb and forefinger. While this isn’t the most stable or accurate bridge, it is by far the easiest for beginners to use. New pool players are often referred to as ‘bangers’ which means they take pot-shots without any real aim or strategy in mind. Sometimes it can be down to just applying too much force. It can really help to practice potting the simplest shots first (for example, when a ball is near a pocket and the cue ball is lined up with both the ball and the pocket). However, while these balls appear easy to sink, they often bring the risk of sinking the cue ball too. On a short shot, it is quite easy to prevent the cue ball from being potted by ‘stunning’ it using a little back spin. This can be achieved by striking the cue ball slightly lower than the centre spot that would normally be struck. If done correctly, the cue ball will stand still or roll back after the target ball has been potted. After mastering short shots, increase the distance between the cue ball and the target ball until it is possible to successfully take long shots. Do you have any tips for beginners that you’d like to share as well? Drop them in the comments below! 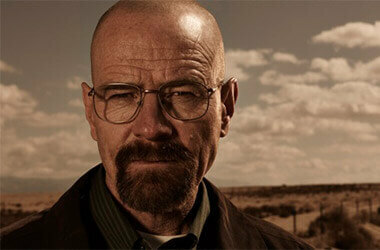 Breaking Badly - The Worst Pool Breaks Ever!